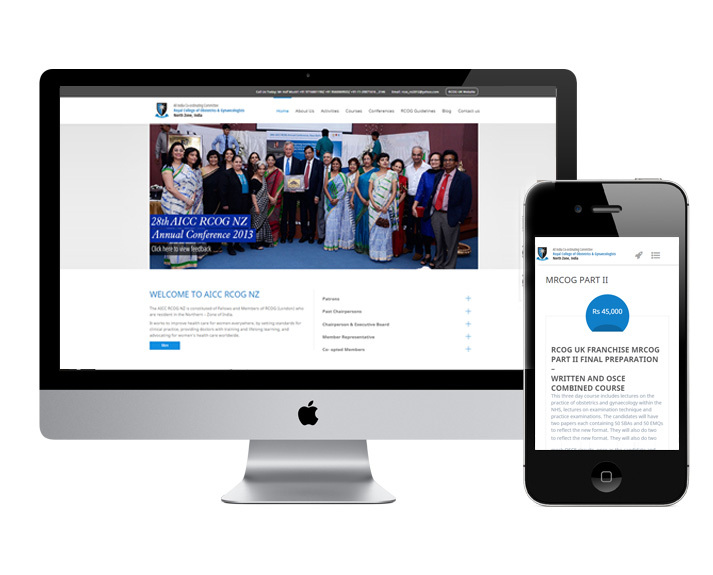 Website re-design for AICC RCOG North Zone based in New Delhi. Responsive website with slider to showcase latest happenings, courses featured nicely on the homepage and an active blog section to update news, conference details, upcoming activities etc. The website optimized for mobile, tablet and all big screen sizes comes with a clean interface design, use of elegant google fonts and easy navigation.